Looking for an Electrician in Lewisham? Great! You’re in the right place! 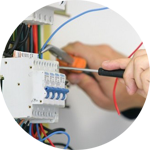 The London Handyman service by Handy Squad have a team of electricians in Lewisham on call and ready to help now. 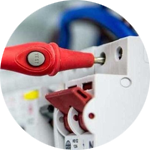 Our qualified electrical team can replace or amend any faulty or unwanted appliances with ease. 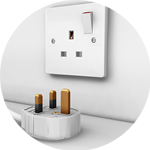 Whether it’s a new plug sockets or a replacement light fitting, the task will be completed both properly and efficiently. 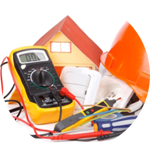 Discovering issues with electrical items is often dangerous and time consuming. 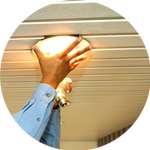 Our fault finding and repairs service means we can identify problems using proper equipment and ensure that your household remains safe and secure. Lewisham is an area situated within the south of London. It’s seen as one of the 35 major centres in the capital and serves as a key transport hub. The area also boasts the largest police station in Europe! The commercial area within Lewisham is one of the largest within London. The centre piece being the Lewisham Shopping Centre which opened in 1977. The complex has 70 different stores and stretches to over 330,000 square feet in length. The Handy Squad are more than electricians! We also offer plumbing in Lewisham, carpentry in London, decorating in London and of course handyman in Lewisham. For a free no obligations quote, book online now or call 0800 0 12 12 12.